RadioTennis.com is pleased to announce LIVE two-day coverage of the Coca Cola Future Stars - Presented by the City of Surprise, AZ. This is a USTA Women's $25,000 Pro Circuit Event. This web cast is sponsored by the City of Surprise, Arizona and will take place from the Surprise Tennis and Racquet Complex. 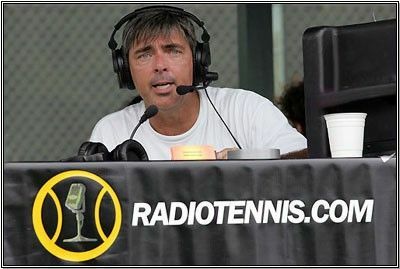 "Although the eyes of the tennis world are focused on the Australian Open, it's important to remember that numerous professional tournaments are still being played all over the globe," states RadioTennis.com's Ken Thomas. "The most interesting tournament in North America this week is the Coca Cola Future-Stars from the desert community of Surprise, AZ. This tournament has a true international field of tournament-tough, battle-tested, touring professionals". "All of these pros understand that if they want to secure entrance into larger WTA events like Indian Wells, Key Biscayne, Acapulco, Charleston, Amelia Island, or if they simply want to be in a good position for the upcoming European clay court season, now is the time for them to string together a few good wins and pickup some world ranking points. And that's exactly why this web cast will be so compelling. They all need the points. It's time for these ladies to start grinding it out and get on with their 2008 tennis season. It promises to be a great weekend of tennis." "Lastly, credit should truly be given to both Coca Cola and the City of Surprise, AZ. This is a first year event, and they both stepped up and signed the sponsorship check and brought this tournament to their community. It's great to see a corporation and a municipality working together and investing in professional tennis." In between points we plan to spin tunes from the Pandora Internet Radio Network. RadioTennis.com provides live streaming audio play-by-play of professional and top level tennis from around the world, via the Internet. RADIOTENNIS.COM IS A FREE SERVICE. RadioTennis.com has an unprecedented history of live web casting ATP, WTA, NCAA, ITA, and World Team Tennis events. RadioTennis.com believes that passionate and competitive tennis can be found just as easily in an early round qualifying match in Bogota or Casablanca, as it can be on center court Wimbledon. RadioTennis.com's goal is to provide the international tennis community with a means of experiencing professional and top level tennis from around the world.